So you are creating a website then you should read our article on 5 different ways to increase traffic to your website on the internet. Whether the site you build is for personal interest or starting a business online. Whatever your reason, one critical factor of your success with your website is driven by web traffic by the amount of online visitors your site gets. How important is the web traffic? This is basically the quantity of data sent and received by the online visitors to the website. The web traffic is the biggest aspect of the internet traffic and this can tell you which pages or parts of the website is/are popular for the visitors and from there, you can exhaust your means to make your website get on top of the rankings. It is possible to pay for website traffic but far better to get your website visitors for selected keywords by ranking naturally in the search engines as this is free traffic and won’t cost you anything. When paying for visitors each time someone clicks on your link it costs you money. 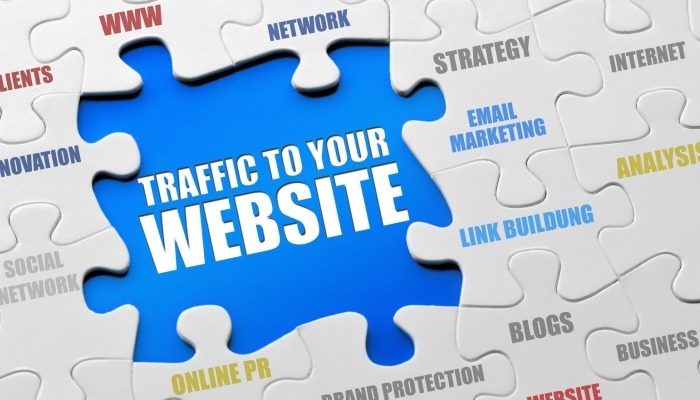 So with this in mind, consider these 5 different ways to increase traffic to your website. Optimize your content for search engines – one of the main reasons why people check out your website is because they are looking for something. Therefore, you can maximize this fact by providing great contents for your website and this can be achieved from Search Engine Optimization or SEO in which you develop good quality unique content and plenty of it. Part of on-page SEO is to have the correct title tags, page description, heading tags, have a anchor phrase in your image alt text and lots more. Off-page SEO is to get some good inbound links to your home page and other pages of your site. If your content is good other sites will like to your site. Ever heard that saying content is King. Remember have some keywords that you would like to rank for in the content and never write for search engines. Write for humans after all humans are who you are trying to reach. Get Social – today, social networking websites are very rampant and you can use this platform to promote your website and drive web traffic for free and you can do this by actively engaging or posting something on your social networking sites. Target Long-Tail Keywords – the professionals in online marketing know it is beneficial to utilize keywords that target potential consumers who are “late” in the cycle of buying. This keyword is more commonly known as long-tail keyword. These are the keywords that are generally 3 to 4 words in length and are very particular to whatever you sell online. Indeed, there are individuals who will search something using exactly the same keywords and these kinds of searches can lead to true sales. Paid traffic – there are times that you have to invest in your website. You can do this by having a professional build and design your website like from spopli.com or through getting paid web traffic. There are many technologies used to drive traffic and if you just started a website, this can be a good option. Improving site speed – at first, you may have your website developed and created for free or minimal fee for the domain. It is normal and you should start small, but as you progress, you have to improve it and start that through the speed of your website. have to spend some money to have your website loads faster. There are many ways to increase traffic to your website and you have to exhaust both free means and those that will need your investment.